The nostalgic appearance of natural stone is a popular choice for construction projects, particularly housebuilding schemes, and so we manufacture our Country Stone Walling with a rugged finish that creates a classic, vintage look similar to natural stone. Country Stone Walling offers versatile building options as it can be used alone on the exterior of a building or integrated with other materials such as facing brick or render to produce buildings with a unique look. What is a product folder? A key feature of Tobermore’s customer focus is our regular series of lunchtime presentations. We believe in reaching out to customers in all markets, enabling them to see at first hand our range of products and expert services. Looking for some assistance specifying the right product for your project? 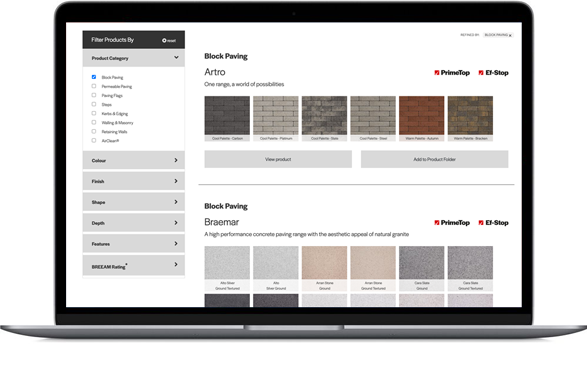 Our product selector tool allows you to apply filters to your search to source the perfect product for your requirements. Sign up to receive your quarterly e-magazine for landscape architects & designers containing a collection of stunning project images and creative ideas using Tobermore products to help you plan your next landscaping project. © Copyright 2019 Tobermore. All Rights Reserved. Company registration NI011280.